HVI can provide all the accessories needed to put together a complete fault locating system. Fault locating is an approach, not just a thumper. Don’t spend a lot of money on a thumper but not the extra few thousand for a top level listening device to make your efforts more effective. Don’t thump for hours wasting time and damaging your cable when a TDR trace can show you the fault location in two minutes, With the right accessories, sectionalizing and pin point location of the fault have never been faster. Consult with HVI on the accessories most appropriate for your situation. We have our favorites but can supply anything needed. For a TDR, nearly any model now available works great. 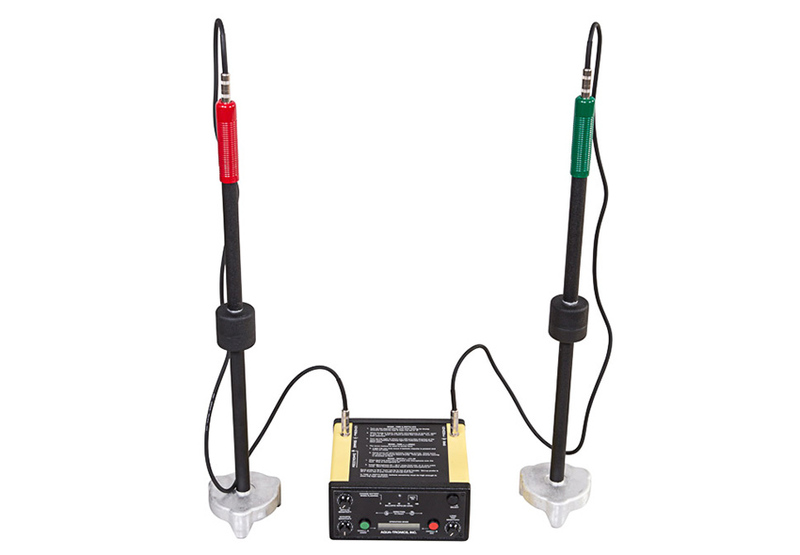 Radar Engineers Model 1669 is a portable Time Domain Reflectometer (“cable radar”) from Radar Engineers specially designed for use with thumpers connected to an arc reflection filter for “pre-locating” high resistance (pinhole) faults in buried primary power cables. This product integrates seamlessly with the CDS Series and the VT-33 thumper for pre-locating faults using the arc reflection method. 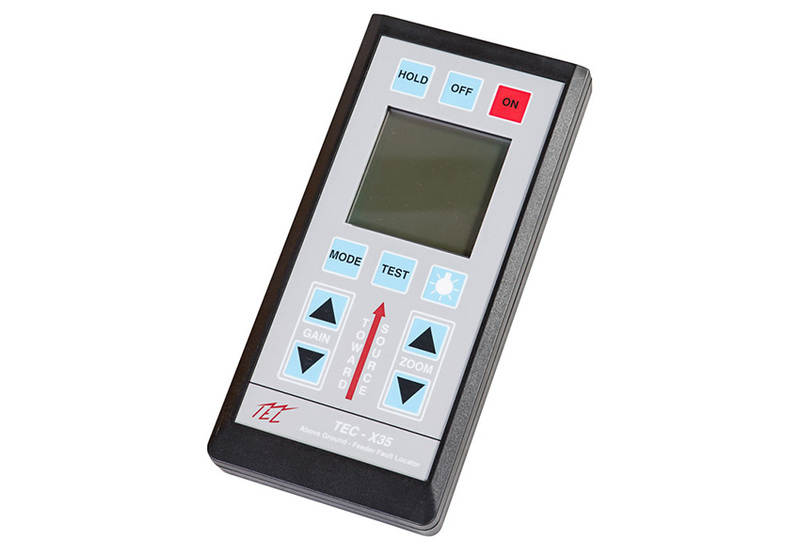 The Model 1669CI offers the Current Pulse method of fault location as well as the standard Arc Reflection method. The 1669 also locates low resistance faults, splices, and opens on a stand-alone basis. Digital radar captures and holds the fault trace at the instant of the thump. Software then automatically positions a marker at the fault, and the distance to the fault is indicated on the screen. Model 1669 is also packaged in a rugged weather resistant plastic case and can be bolted to most hand trucks. The SDAD from Aquatronics is an acoustic and magnetic/ballistic detector used in conjunction with a cable fault locator/thumper to help quickly isolate faults in underground primary cables. The SDAD’s main features are direction to fault to help you get to the failure faster, ballistic impulse bar graph to keep you on the cable path, and depth indication after you have located the fault. The X35 from Technology Enhancement Corporation is designed to ease the process of fault location on a primary network system. The X35 detects the impulses from a primary cable fault locator/thumper and are displayed on easy to read LCD screen. This allows you to interrogate the faulted network system while remaining above ground and along the cable path, sectionalizing between manholes without opening them. Customer supplied load break elbow that is fitted with 12 inches of cable and a female MC connector. Designed for use with our CDS series of thumpers, VLF series of VLF Hipots, and E-Series of VLF Hipots. Vise grip clamp fitted with a female MC connector. Designed for use with our CDS series of thumpers, VLF series of VLF Hipots, and E-Series of VLF Hipots. Hotline clamp fitted with a female MC connector. Hotsitck compatible. Designed for use with our CDS series of thumpers, VLF series of VLF Hipots, and E-Series of VLF Hipots. 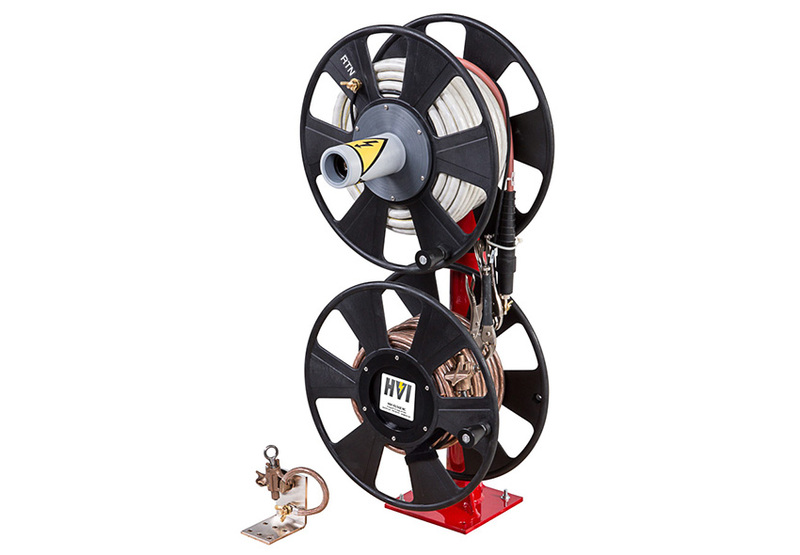 HVI can combine all of the cable testing, diagnostic, and fault location equipment you need onto a compact and organized metal skid. Storage slots for your CDS Thumper, Cable Reels, VLF Hipot, Tan Delta Bridge, Partial Discharge Detection Equipment, Time Domain Reflectometer, Listening Device and accessories keep everything secure and organized while in transit and at the jobsite. Our Skid Packages also allow for easy installation into a vehicle, very handy if you do not have a dedicated vehicle for you thumper system. These skid packages are custom fit for your HVI equipment and accessories, designed how and where you need them.